Today the highly anticipated land, Pandora – The World of Avatar, officially opens to guests at Disney’s Animal Kingdom. 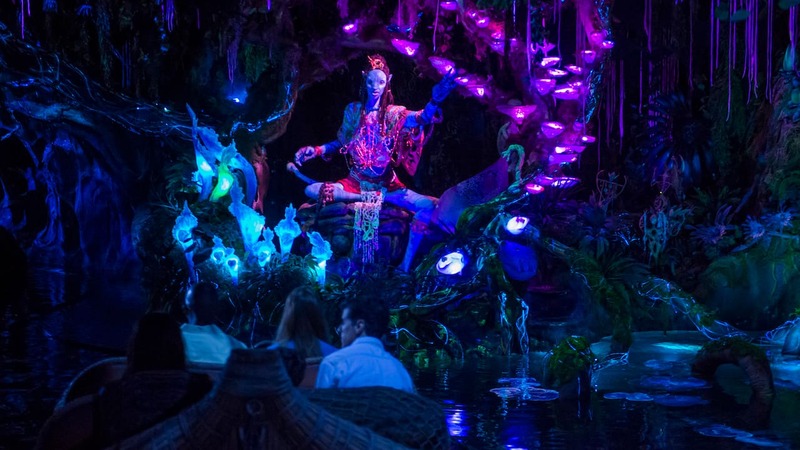 The largest addition in the history of Disney’s Animal Kingdom, Pandora – The World of Avatar transports guests to the moon of Pandora, where they can explore floating mountains and bioluminescent rainforests. 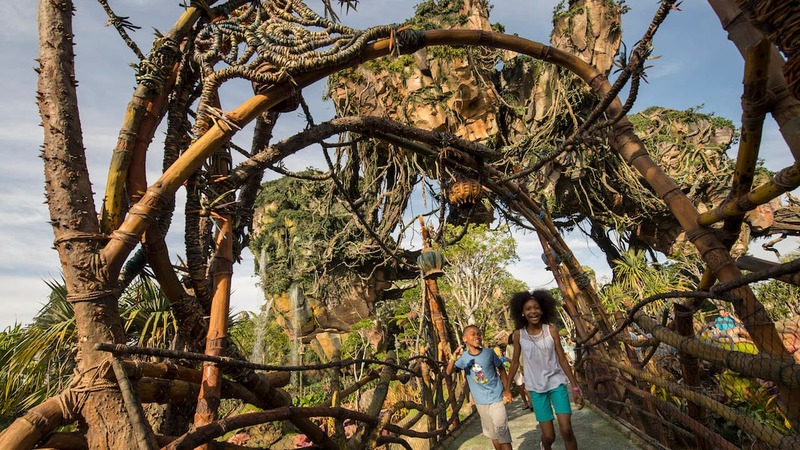 They can also enjoy unforgettable experiences, like sailing down a mystical river to encounter a Na’vi shaman at Na’vi River Journey, or experiencing what it’s like to soar over Pandora on the back of a mountain banshee at Avatar Flight of Passage. The land alone is an attraction to explore in itself: during the day, guests will find themselves surrounded by a lush and vibrant landscape that boasts interactive Pandoran flora, pouring waterfalls and flowing streams. 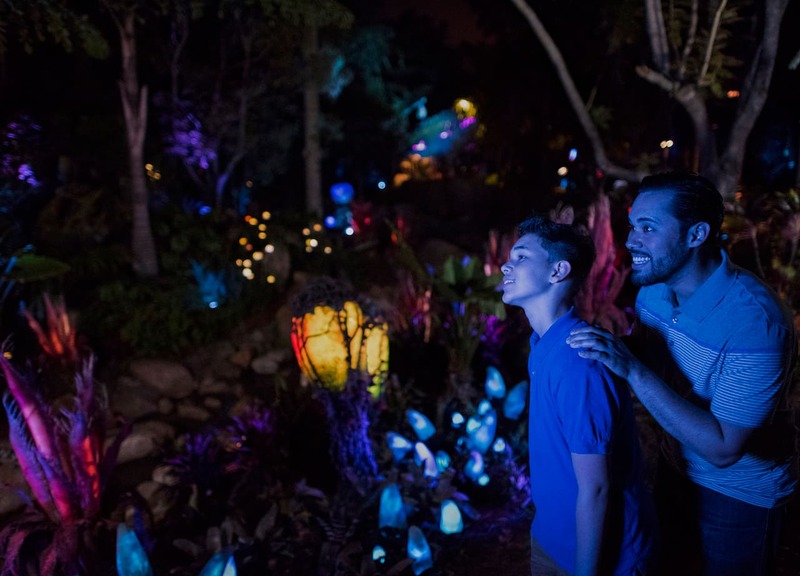 Families visiting the land at night are in for a whole new experience, as bioluminescent flora brings the moon of Pandora to life in delightful new ways. 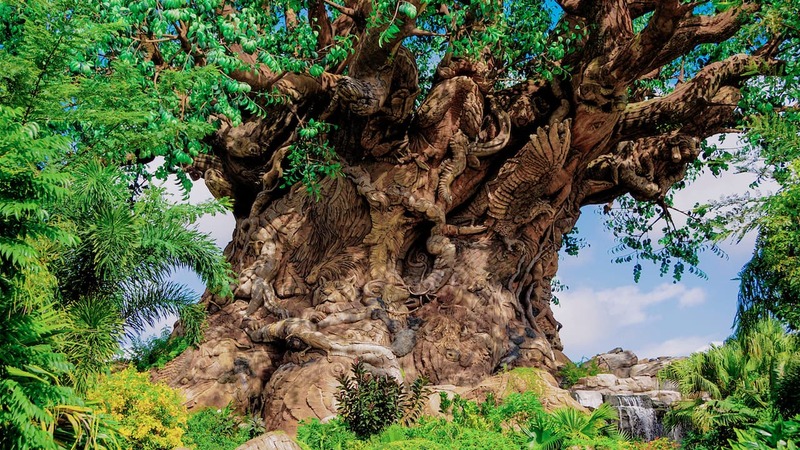 Guests can also indulge in Na’vi culture by trying out cuisine at Satu’li Canteen, shopping for goods at Windtraders or even “connecting” with a banshee of your own at the Rookery. 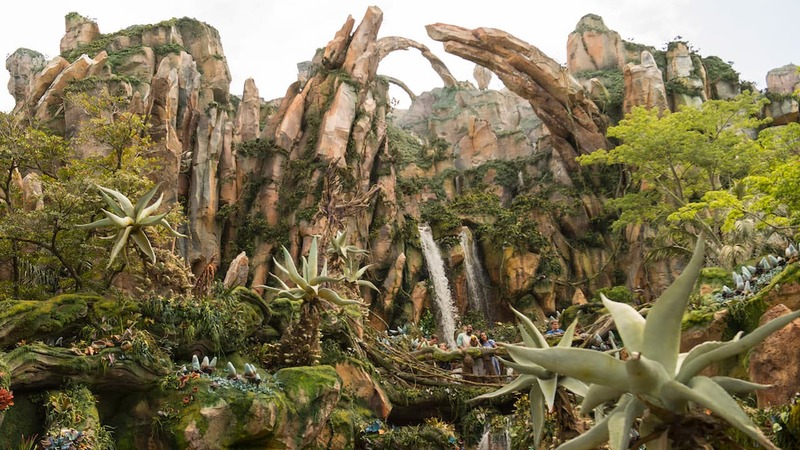 Planning on making a visit to Pandora – The World of Avatar yourself? Be sure to check out the list of blog posts below to learn how you can make the most of your visit to this unforgettable place.